All little children love a playhouse! And so do the moms and grandmas! Wouldn't it be fun to have a soft playhouse that hangs on the wall? 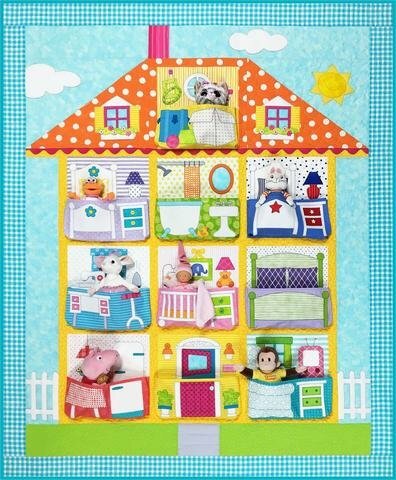 Amy Bradley Designs has created this unique playhouse quilt! Learn how to make this fun design with applique and piecing. Learn how to add the pockets to hold that special toy or doll!